Freddie Gray reportedly asked for medical assistance in police van. 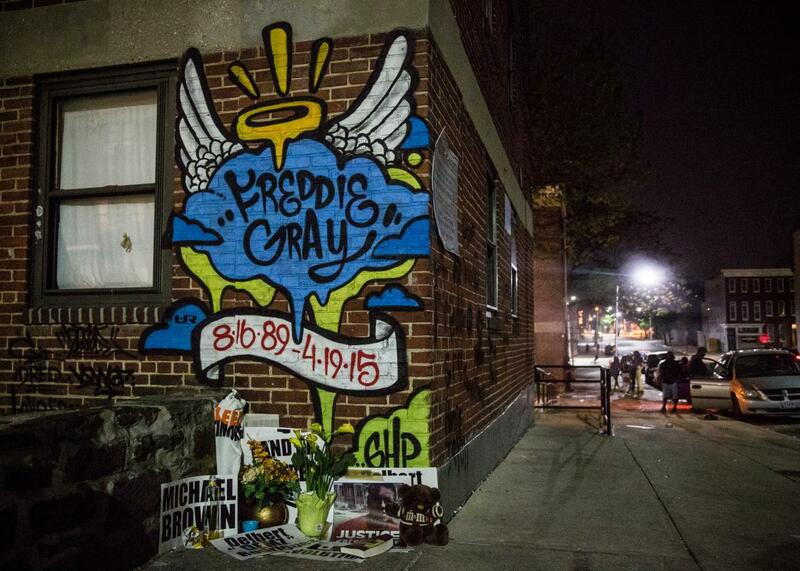 A mural dedicated to Freddie Gray is seen on a wall of the Gilmor Home in the Sandtown neighborhood where he was arrested on May 3, 2015 in Baltimore, Maryland. A Baltimore police officer said that Freddie Gray asked for medical care while he was in a police van after his arrest on April 12. But the officer, who is among those charged in Gray’s death, also said he wondered whether the 25-year-old was faking his injuries because he wanted to go to a hospital instead of jail, reports the Baltimore Sun. Six police officers have been charged in connection to Gray’s death, which sparked protests and riots. One of those charged is William Porter, who told police investigators that he had been asked to go check on Gray in the back of the police van. “Help me,” Gray reportedly told him, “Help me up.” Porter asked if he needed to go to the hospital, to which Gray said yes. At that point, Porter allegedly told the van’s driver that the city would refuse to book Gray because he needed medical care, according to documents that the Baltimore Sun examined that summarize the officers’ statements. He also had doubts, though. “Everybody plays the ‘I need to go to hospital’ thing when they get arrested,” Porter said. Another officer said Porter told her Gray’s medical problem was “jail-itis.” By the time the van stopped at a police station, Gray was in cardiac arrest.